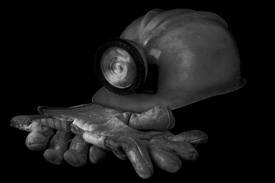 A CONSOL Miner died on Thursday, September 13, 2012 after being seriously injured when he was struck by a large rock during a workplace accident along the track haulage at the Blacksville No. 2 mine. According to the Dominion Post, the accident is under investigation and CONSOL is looking into what happened. While the mine has a portal in West Virginia west of Blacksville, the bulk of the coal being mined is in Pennsylvania. The site of the accident will determine which state mine safety agency is involved. CONSOL said it will provide updates on the accident as information becomes available and will work closely with federal and state mining officials to determine the cause of the incident. If your loved one has been injured or killed while working in or near a coal mine in West Virginia, you are entitled to certain workers’ compensation benefits and other recoveries from the coal company for “deliberate intention” violations set forth in West Virginia law, Section 23-4-2. Moreover, you may also be entitled to seek a recovery for money damages from any third parties – like equipment manufacturers and subcontractors – that contributed to or caused your injuries. The Robinette Legal Group is recognized as one of the region’s most successful coal mining injury litigation firms. Our attorneys understand the regulations and we know how to look beneath the coal dust to find the true cause of the accident and the full extent of your injuries and financial damages that result. We work independently as your attorney or with your workers’ compensation lawyer to seek the full and fair compensation from the insurance company that is liable for damages. Call us today at 304-594-1800 or 304-216-6695.